Are you looking for the cheapest portable speakers for yourself, or to gift a loved one or even your office mates over the holiday season? Whatever your reasons, we did the hard work of selecting the best picks for the cheapest portable speakers. Besides, every music lover has three gadgets that they cannot do without when it comes to enjoying their favorite tunes on the go: a media playing device, earphones or headset, and a portable speaker. Choosing a portable speaker is almost the same as an ordinary one, except you need to check for it’s portability, plus other features such as size, weight, sound, battery capacity, color (if need be), warranty, susceptibility to water and dust among other elements, as well as the price. Here are our top picks for the cheapest portable speakers you can get on right now. What are the cheapest portable speakers on the market? 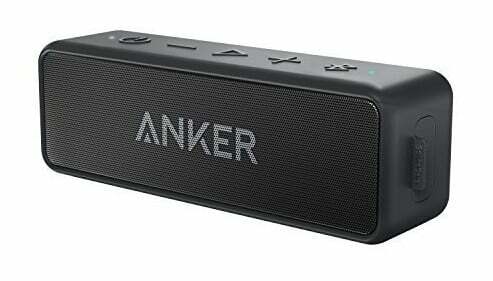 This is one of the top quality yet cheapest portable speakers in the market that’s perfect for your music listening pleasure. It comes with dual acoustic drivers, two-channel enhanced super bass module so you can enjoy a strong bass sound even at the highest volume levels, which you can raise from the speaker without using your phone. The package comes to a micro USB cable which is used to recharge the speaker, plus, its built-in 1200mAh battery guarantees up to 8 hours of playtime so you can listen to it while you work during the day or night. If you want to catch up with news updates, this speaker comes equipped with FM radio, plus you get an mp3 player function and TF slot on top of that. Cool right? What’s more, you can answer calls from your phone from its built-in microphone with one simple key! This speaker supports most top smartphone brands, laptops, PCs, media players, and Bluetooth-enabled gadgets. You can go with it anywhere you want, and it will not disappoint. 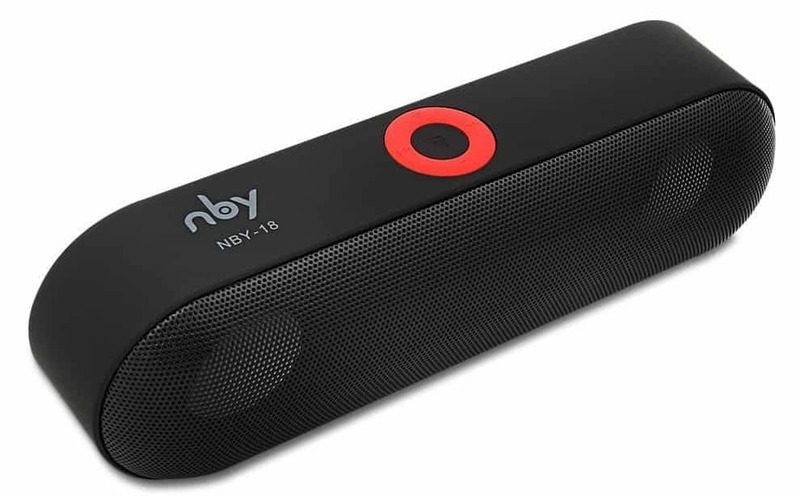 If you’re thinking of getting yourself one of the top quality but cheapest portable speakers, or you want to gift a loved one or employees, this sleek, metallic design portable speaker comes in black, blue, red, and white colors. This means you can pick your favorite among these colors, or get a different color for each person on your holiday gifting list. Besides aesthetics, this speaker comes loaded with amazing features that will blow your mind. Firstly, the capacitive touch control feature lets you control the mood and energy of a party at your fingertips. So you can play, pause, skip or add volume to the desired level with a simple touch. 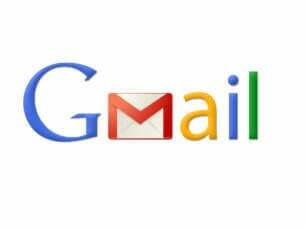 You can also answer phone calls by the way. It also has Bluetooth 4.0 technology, superior 12W full-bodied stereo sound quality, plus a rechargeable 2200mAh built-in battery that lets you enjoy your favorite tunes for up to 12 hours. You can also charge the battery for up to 4 hours using the micro USB cable that comes with it. This portable speaker not only has amazing features, it’s also waterproof! Yes, it is fully waterproof in immersion of up to one meter for up to half an hour under water. So even if it falls into the sink, you can still redeem it within 30 minutes. This also means you can go with it in the shower, to the beach, swimming, or even rowing on a boat. It delivers premium 10W stereo sound quality with a loud, dramatic bass so you can enjoy your favorite music wherever you are, just the way you like it. It is also Bluetooth-enabled, lightweight, and has a 2000 mAh rechargeable battery and a mic hands-free speakerphone so you can also answer your calls. The design is patented (worth bragging about), and it uses a high quality fabric as a cover, plus a stylish look to match your décor wherever you go. Unlike the first two portable speakers, the Hapyia brand comes with a 12 month worry-free warranty, lifetime technical support and professional after sales team access. 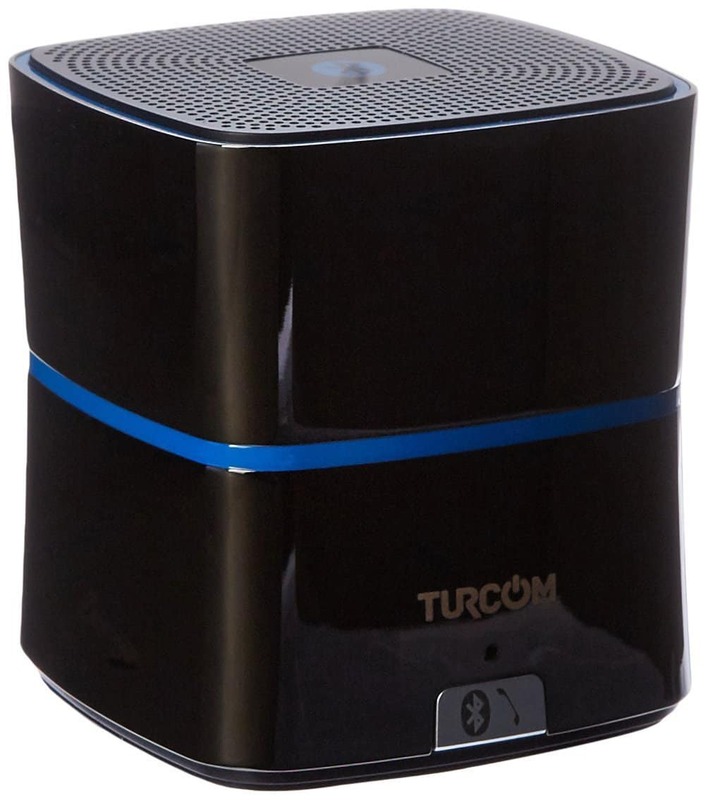 The manufacturer of the Turcom brand of portable speakers touts it as one with jaw-dropping sound quality. Indeed, with the features this speaker possesses, you are in for a great, pleasurable time of music enjoyment. This speaker produces crisp, premium yet powerful sound projected from the speaker’s unique zinc alloy metal casing that results in the hi-fi sound, and enhances pulsing bass. 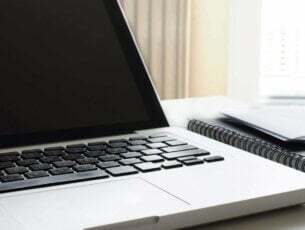 It is fully compatible with most smartphones, laptops, and Bluetooth-enabled gadgets, as well as media players. You also get up to 12 hours of playtime thanks to its rechargeable Li-Ion battery, and even though higher volumes reduce playtime, you still get up to 8 hours at the highest levels of volume. If this was for a party, it would be lit the whole night non-stop! Besides being gorgeous from the outside, the inside will totally wow you! 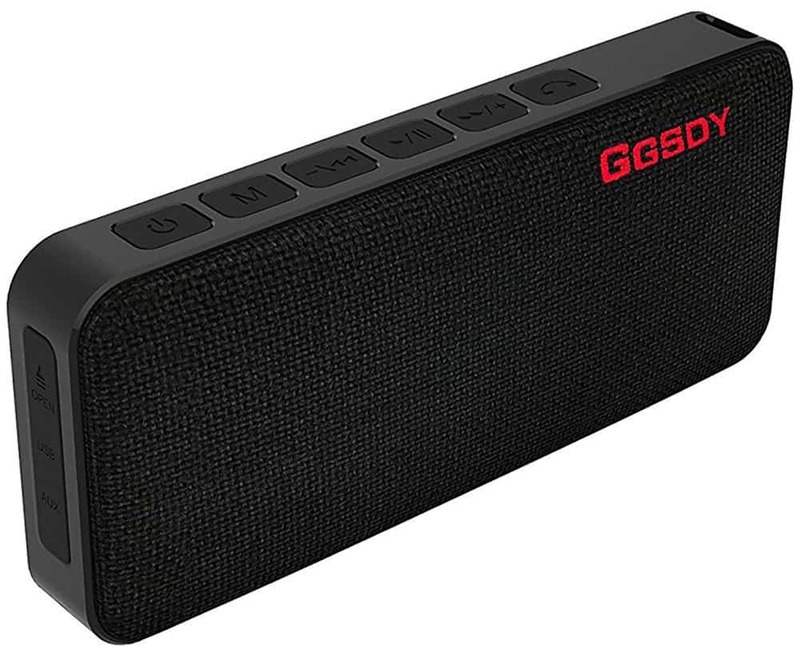 This portable speaker comes with a huge bass, upgraded audio clarity, and incredible battery life of up to 24 hours, with 500 song playtime so you can listen for hours on end. It is also water and dust resistant so you can also listen to it from your shower, as you swim or at the beach. 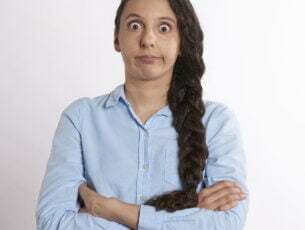 It also comes with an 18-month worry-free warranty plus friendly and available customer service so you needn’t be worried about getting support when you really need it. 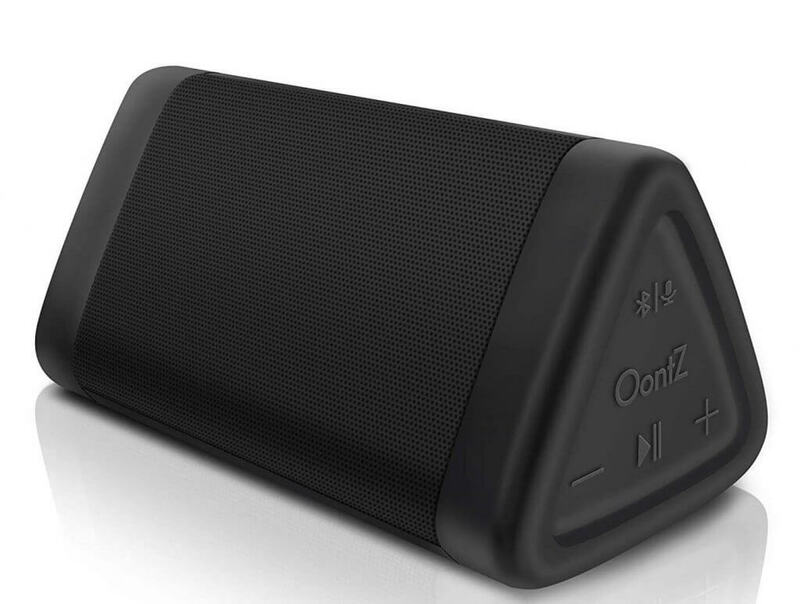 OontZ Angle 3 is an interesting portable speaker that’s also splashproof. This means that you can use it to listen to your favorite music or radio stations in high humidity environments (in the kitchen or bathroom) without any problems. The speaker comes in three colors: black, blue and red. The model listed in this guide features enhanced stereo for greater clarity stereo sound. 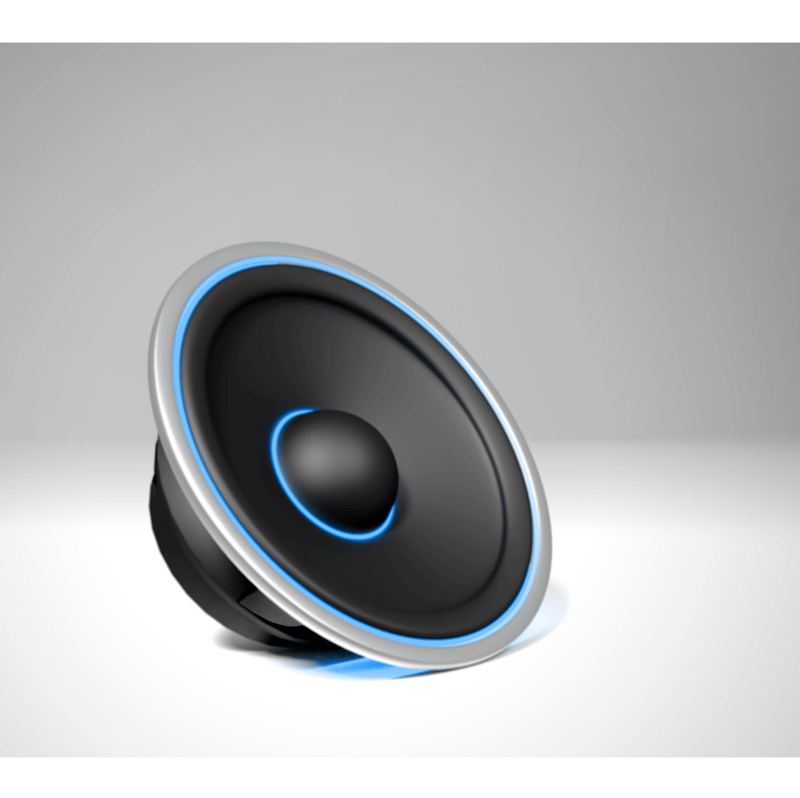 There is also enhanced bass output thanks to the built-in passive bass radiator this enhancing the sound quality of the music as well as vocals.This tiny speaker can play your favorite tracks really loud but, rest assured, there is no distortion. 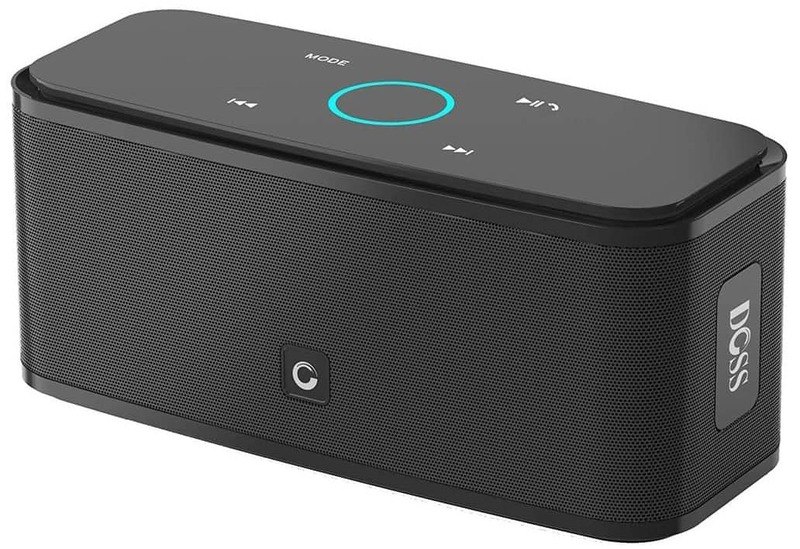 You can pair this portable speaker with any device, including iPhones, iPads, Echo Dot, Windows laptops, even your gaming console. Have you found your favorite pick among these cheapest portable speakers? Let us know which one you like and why in the comments section below.